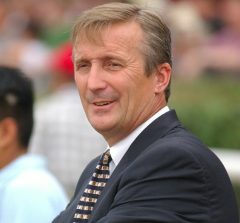 That was the consensus from trainer Rick Violette and a panel of attorneys at The Albany Law School's 18th annual Saratoga Institute on Equine, Racing, and Gaming Law Conference Tuesday. The panel checked in on what has and hasn't changed since last year's conference examined the complexities of immigration and labor in horse racing. The H2B visa program, which allows immigrants from certain countries to fulfill a seasonal need for workers, is still the most commonly-used program by trainers to keep their shedrows running. Panelists agreed there still aren't enough of those visas released to cover the country's needs. There are 66,000 H2B visas split between two 'seasons' each year. Attorney Leonard D'Arrigo of Whiteman, Osterman and Hanna said the United States Citizenship and Immigration Services (USCIS) raised the cap by 15,000 in 2017 and 2018 but did it so late in the year that most employers had already been shut out for that season's visas. The number of applications for H2B visas routinely exceeds the number available. As of May, the Department of Labor received 142,000 applications for the first 33,000 visas of 2018, according to D'Arrigo. “This year, for the first time, the Department of Labor and USCIS instituted a random lottery system, so that employers that filed during a certain week would be dumped into a pot and then 33,000 were selected out of that pool of visas,” he said. As recently as 2015, there was an exemption for returning workers who had previously been given H2B visas, so they could be approved with minimal screening and their H2B visas didn't count against the cap. That provision expired in 2016 and it seems unlikely it will be reinstituted. Although there haven't been any sweeping changes to immigration law in the last 12 months, the panel agreed things have gotten tougher for employers and employees who rely on H2B. Meanwhile, D'Arrigo said US Immigration and Customs Enforcement have shifted their focus from immigrants with a criminal background to employers as they look for I-9 violations, which can cost $300 to $16,000. Violations may include missing or falsified paperwork, which is a challenge if a worker presents an employer with a convincing forgery. New York THA president Richard Violette Jr. In the midst of this ever-shifting landscape, there are two misconceptions Violette said he's tired of hearing. One of them is that U.S. citizens are losing out on jobs to H2B visa workers. A member of the audience asked the panel, particularly Violette, whether a higher wage would attract more workers. Wouldn't it help to offer $15 per hour? D'Arrigo echoed the trainer – in his experience, landscaping companies routinely advertise jobs at $16 to $17 per hour in the capital region and still struggle to find domestic applicants. From where Violette sits, the future looks bleak. He said he spends as much as $5,000 to get each of his H2B workers going between transportation costs for them, legal costs, application fees. He has heard trainers say they'd like to see racetrack positions exempted from the H2B program so they won't have to compete against the hotel, restaurant, and other agricultural industries. Of course, those much larger industries would like the same thing and have more lobbying cash to push for their interests. In the meantime, Violette said ICE raids in Saratoga in the past couple of years have put everyone on the backstretch on edge. This year, he had employees request to stay at Belmont Park, not because they could be deported in the event of an ICE raid, but because they didn't want to be harassed by federal agents. 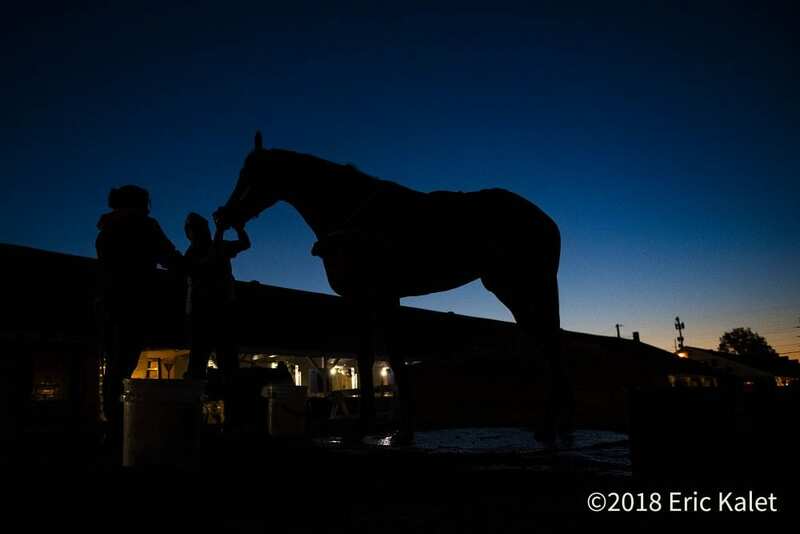 This entry was posted in NL Article, The Biz and tagged Immigration and Customs Enforcement, immigration in horse racing, leonard d'arrigo, Lucrecia Knapp, Rick Violette, Saratoga Institute on Racing and Gaming Law by Natalie Voss. Bookmark the permalink.